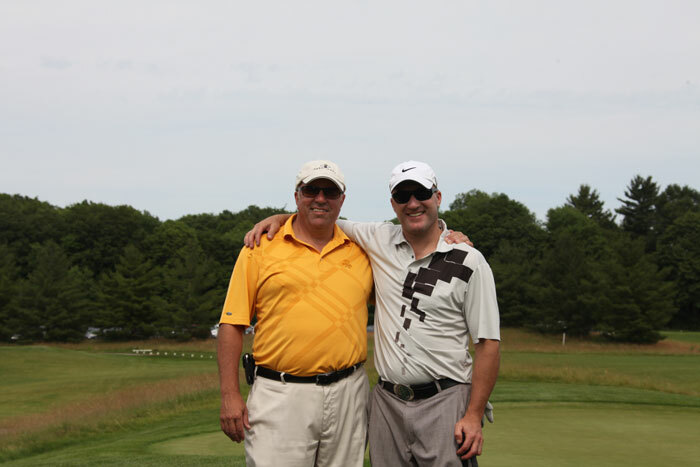 The 3rd annual Ippolito Foundation Golf Tournament held at Copetown Woods Golf Club in June 2013 was an enormous success! All proceeds from the event will directly benefit McDermott House Canada, as well as other local charities and community groups. We extend our sincere appreciation to Joel Ippolito, President of the Ippolito Group and McDermott House Canada Board Director. The 2014 Golf Tournament has been postponed to 2015 due to the damage that the ice storm of 2013 did to the golf course. It will be back bigger and better in June 2015 – check back for how you can be a part of this wonderful day. 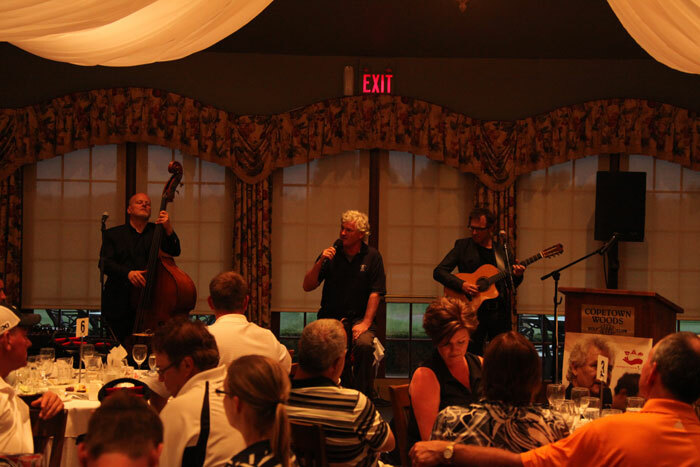 Entertaining the crowd after a fun day golfing, singer John McDermott had the crowd tapping and clapping accompanied by bassist George Koller, left, and Jason Fowler. Taking a break from the links at Copetown Woods Golf Club are Joel Ippolito, left, Director of the Ippolito Foundation and Brian Stemmle, former Canadian ski team competitor and a member of the Canadian Ski Hall of Fame.